The latest Oxford Vets is now open. Julie and Anna are over the moon to welcome Oxford’s pets and their families to our brand new veterinary centre, Oxford Vets Hilltop. Avoid the city centre traffic, park easily and enjoy beautiful views at our convenient site on top of Hinksey Hill! Both local mums with a menagerie of their animals, Julie and Anna, have over 30 years combined experience in veterinary medicine. Julie as a Veterinary Surgeon and Anna as a Registered Veterinary Nurse. Oxford Vets Hilltop is a joint vision where each patient and their family will be treated as individuals. More than that, here you can expect to see the same friendly faces at every visit. We are committed to providing gold standard treatment while supporting our patients’ well-being at every life stage, from their first vaccination to end-of-life care. Our whole team has been handpicked to provide compassionate care for your four-legged (or three-legged, finned or feathered) friend. With our resident Specialist Surgeon, you can rest assured that even the most complex orthopaedic and soft tissue surgery is in World-class hands. Our visiting experts in the fields of Veterinary Ophthalmology, Cardiology and Dermatology bring a wealth of knowledge to the trickier eye, heart and skin cases. We can even arrange for your pet to undergo advanced CT imaging on-site. No need to travel long distances to access quality care when you need it most. As one of the newest Oxford Vets Centre, our brand new hospitalisation facilities cater for all our patients, large and small. With three ‘walk-in’ kennels for larger dogs, as well as units for small and medium-sized dogs, there is room for all our canine patients. The nearby Nature Trail offers a scenic place to stretch their legs before or after their visit to the vets. We understand our feline patients have different needs to our canine friends. Our cat-friendly surgery features our unique ‘cat house’ in which your pet can relax on arrival, a dedicated consulting room, luxury accommodation and all the cat-specific equipment and medication you would expect. Rabbits and smaller pets are not forgotten here at Oxford Vets Hilltop; we even have a healthcare plan just for them! Of course, we will always be here for you when your pet is injured or unwell, with qualified vets and nurses providing appointments (including evenings and weekends). But we believe that preventing health and behaviour problems is just as important as fixing them. We aim to keep Oxford’s pets in tip-top condition so they can enjoy happy, healthy lives. Please talk to us about our PAW and VIP plans, which provide for all your pet’s routine health needs while saving you money. Hilltop Veterinary Centre aims to provide a bespoke caring service with a focus on lifetime well-being, recognising that the needs of individual owner and pet are unique. To achieve clinical excellence with world-class standards in both customer service and veterinary care. To show compassion & understanding to our clients & their pets creating an environment where owners and pets feel at ease and listened to. Constantly investing in our premises, equipment & staff ensuring up to date knowledge & state of the art facilities. Creating a nurturing & safe learning environment to promote the ongoing development of the team. We are dedicated to each other, the profession, our patients, clients, the community and our charities. We are dedicated to providing your pet with the best veterinary care we possibly can. We believe that every pet and owner, deserve to be treated with kindness and respect. Oxford Vets Hilltop fulfils this promise just as well at 6 pm on a Friday as we do at 9am on a Monday. We know having a sick pet can be frightening. Even a routine vet visit can be stressful and, let’s face it, inconvenient when you have plenty of other things you would rather be doing instead! So let’s work together to keep your pet well and see how many wags, purrs and smiles we can find along the way! At Oxford Vets Hilltop, we are passionate about our patients, our clients and the service we provide. We appreciate any feedback, good or bad. After all, how else will we know what we are doing well and what we could do better! Outside of these times our answer phone message will direct you to Oxford’s out-of-hours emergency service provider based in Woodstock who has a dedicated team of night staff. This allows the Oxford Vets Hilltop staff to give our very best to our patients during the daytime. As we expand we hope be able to offer a 24/7 service at some time in the future – watch this space! We have taken great care to ensure that our hospital accommodation will meet your pet’s needs and make them feel at home. Oxford Vets Hilltop holistic approach prioritises the comfort and wellbeing of our inpatients throughout their stay. With separate air-conditioned rooms for dogs and cats, three dedicated areas to house particularly large dogs, a separate insolation unit and a shower room, whatever the shape or size of your pet we have the perfect spot for them! In our dog ward, each kennel is lined with soft padded bedding. Gentle music (or even the television!) 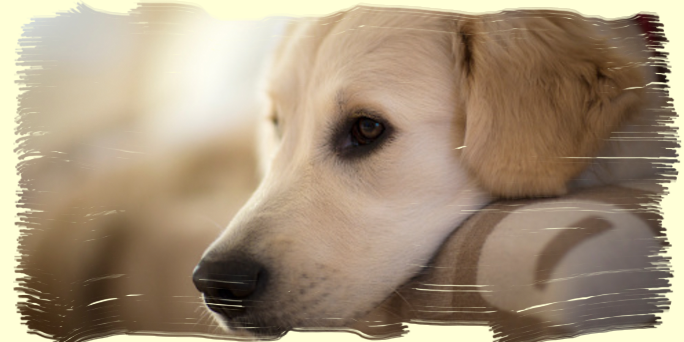 can be played in the background, creating that home from home feeling for our canine companions. Our feline friends are not left out. Each cat ‘condo’ is made of a scratch resistant, antibacterial polymer (which is much nicer for little paws than traditional metal flooring) and contains cat ‘furniture’ so your cat has somewhere to relax. A Feliway diffuser in the cat ward also helps our feline patients feel safe and secure in their temporary home. Treatment restrictions allowing, we may ask you to bring in some of your pet’s favourite toys, bedding or food. A range of non-prescription and prescription foods are available and are offered as appropriate to each patient. Please let us know which type of food your pet enjoys at home.